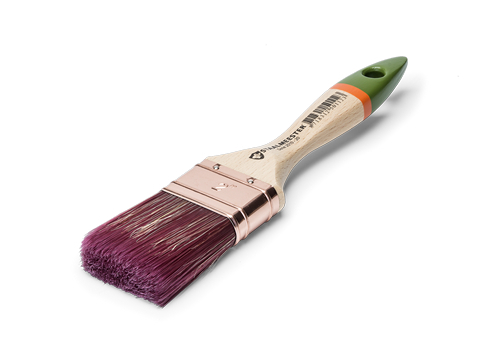 This universal flatbrush is suitable for both synthetic and water-based paints. The Staalmeester® synthetic blend ensures better paint absorption and an even smoother finish. With a traditional beechwood handle and a coppered ferrule with deeply set bristles. 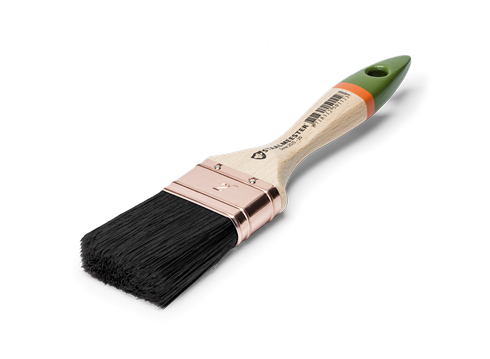 This brush is best used to varnish or stain large areas such as (wooden) floors. This flat paintbrush is filled with the best available pure black China bristles. It has a traditional beechwood handle. The long bristles are set into the ferrule with epoxy glue to prevent bristle loss. This paintbrush is suitable for traditional synthetic paints. The larger models are best used to stain or impregnate railing and fences, or to varnish floors.